Fostering Bonds that Last by Making Temporary Foreign Workers in Canada Permanent - Canada Immigration and Visa Information. Canadian Immigration Services and Free Online Evaluation. 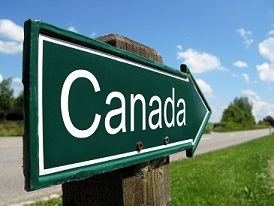 Canada launched its Temporary Foreign Worker Program in 1992, thereby bringing live-in nannies and caregivers into the homes of several Canadian citizens and permanent residents. This accounts for a fifth of all temporary immigration. The authorities allow these individuals to enter Canada to do jobs that Canadians would avoid for low rates of pay that Canadians would decline outright. These individuals stay away from their homes and families for years. In addition, they can neither settle down in Canada nor marry nor bring their children over nor change jobs or expect a raise in their salaries. As if this were not enough, they also need to live in rooms provided by the employers and stick to the same job unless the authorities drive them out of the country. Many people would feel that Temporary Foreign Workers belong to restaurants and other mining occupations, without sparing a thought for the live-in caregivers who reside with them. The Live-In Caregiver Program currently employs about 25,000 women, who have helped Canadian women enter the workforce and looked after the children and the elderly as well. Yet, the Caregiver Program and other temporary programs have created a massive socio-economic problem. These caregivers, who contribute much to the lives of Canadians, have to live in Canada on a full-time basis, which invariably results in the deepening of their ties to the country. At the same time though, they cannot aspire to have any legal connection to the country’s society or economy. Since 2010, live-in caregivers can apply for permanent residence after completing 24 months of work over a four-year period. This makes them better off than the over 300,000 skilled, unskilled and agricultural workers currently in the country on a temporary basis. Permanent immigrants are a net gain and they contribute to the welfare of the country and the economy. However, temporary immigrants merely live in the country, without forming a family or developing any educational or economic ties with the country. In doing so, they harm themselves and the country too. On an average, it takes from 6 – 8 years for these temporary workers to become permanent immigrants. Canada needs immigrant workers to meet its shortage of skilled and unskilled labour. Because Canada is an underpopulated country with an ageing population, it makes sense to transform temporary immigrants into permanent ones, thereby helping them rebuild their lives even as they contribute to help the national economy prosper.